Congratulations to "Jaclyn L." the winner of Angi's giveaway. Thank you to all who participated! "With the reputation of "One riot, one Ranger," the Rangers don’t seem to need a massive group to accomplish their mission and maintain their reputation." Reading about the history of the Texas Rangers, it's amazing that the law enforcement organization has withstood wars, corrupt politicians, and modernization. The current version of the Rangers was created in 1935 (112 years after their organization). The Texas legislature created the Department of Public Safety and a main investigative branch is the Texas Rangers. 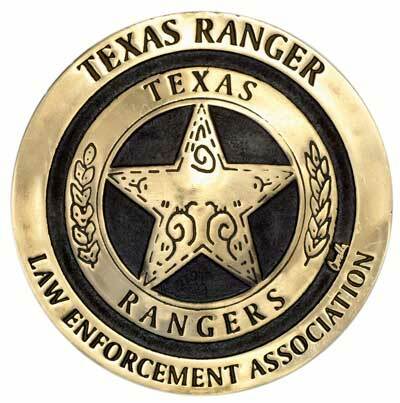 One of the main roles of the modern Texas Ranger is to assist local law enforcement who lack experience or resources with investigations. A newer division deals is the Unsolved Crimes Investigation Program (I feel a book proposal coming). My character, Cord McCrea, is acting under one of the prime directives: rendering assistance to local law enforcement officials in suppressing crime and violence. As exciting and dangerous as writing about drug trafficking in West Texas might be, PROTECTING THEIR CHILD is a story about the reconnection of two people who love each other very much. I thought I'd share this little snippet from my heroine's POV. Kate Danvers McCrea: Her husband had never wanted to discuss his cases with her. Had always thought it was too dangerous. Then they’d been threatened. And threatened again. And ambushed. And he’d still held back details. The thought should make her angry--angrier--but she wasn’t. She was proud that he’d kept his oath to the Rangers. But the world had changed. There wasn’t honor among thieves and there were no boundaries on the casualties of war. PROTECTING THEIR CHILD is currently on bookshelves and available on-line. I hope you'll give it a try and let me know what you think. Thanks for joining me today! 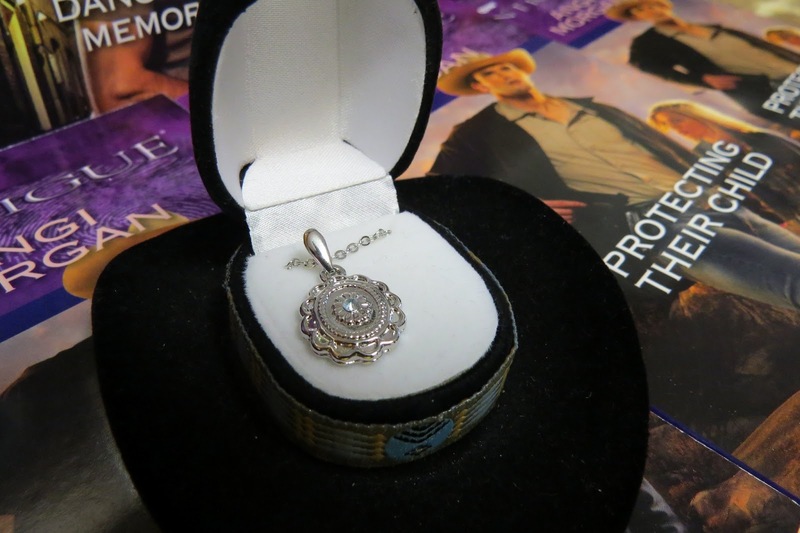 Angi Morgan writes “Intrigues where honor and danger collide with love.” She combines actual Texas settings with characters who are in realistic and dangerous situations. Angi is a finalist in the Bookseller’s Best Award, Romantic Times Best First Series, Gayle Wilson Award of Excellence and the Daphne du Maurier. LEAVE A BLOG COMMENT. Angi will draw from blog commenters for a book from TBR pile--including the funny CHRISTIE CRAIG (she'll need your email addy--which you can always send to her directly). AND ENTER ANGI'S May contest: register at Rafflecopter through May 31st. Giveaway ends 11:59pm EST May 7th. Please supply your email in the post. You may use spaces or full text for security. (ex. jsmith at gmail dot com) If you do not wish to supply your email, or have trouble posting, please email maureen@justromanticsuspense.com with a subject title of JRS GIVEAWAY to be entered in the current giveaway. CHAT WITH ME: Did you think the Texas Rangers were still active? Ever watch Walker, Texas Ranger? Hello Angi! Still love the sound of your book... wrote it down on my want list... it gets hard to pick and choose which books I will treat myself to each month... but I hope to get this one soon. My dad was a huge fan. Never missed an episode. I catch myself watching portions of it still today. Love your books. I loved to watch Walker, Texas Ranger and still try to catch the reruns! Thanks for the giveaway! Oh, thank you !! I'm so glad you like them. Protecting Their Child is a very emotionally charged book, but it almost wrote itself. The show actually filmed a couple scenes at my daughter's elementary school one season. Very cool. Chuck Norris filmed a lot of the show in this area. And just a totally useless piece of trivia: His favorite fast-food hamburger is located here. He'd send someone to buy burgers for the crew. The drive through has pictures, etc. Living in Texas (Fort Worth area), I'm a fan of the Texas Rangers (law enforcement and baseball team ;o) ) and I have seen them so I knew they were active. I enjoyed Walker, too. Protecting Their Child sounds good and I have added it to the wish list. Hope it's very successful for you. Thanks Karen! I hope it's successful too. Do you also write? Or are you just a reader? I'm just a reader - a voracious one. Love print books and digital on my Nook and Kindle. I do know that the Texas Rangers are still active. I never did watch the TV show. They do fascinate. Hi Mary. Nice to see you. I'm completely inspired by their COLD CASE INVESTIGATION UNIT. Would love to do a series of stories about them. Can't remember if I've ever watched Walker, Texas Ranger but I've certainly enjoyed reading about Texas Rangers through the years. Chuck Norris did a good job with the series. In fact, the Tx Rangers organization had him on their board for several years. I do like Texas Ranger stories. What an exciting life they lead. And what's not to love about them? In the books and movies, they are always gorgeous. Thanks for stopping by Joanne. The first story of the Texas Ranger was the Lone Ranger. After that, it was Walker, Texas Ranger. The series did have a reunion but that reunion series was a cliff-hanger when Alex, Walker's wife was shot. They didn't finish that cliff-hanger.